This product is an interior pendant light with polished chrome highlights and a white glass shade which is 300mm in diameter. 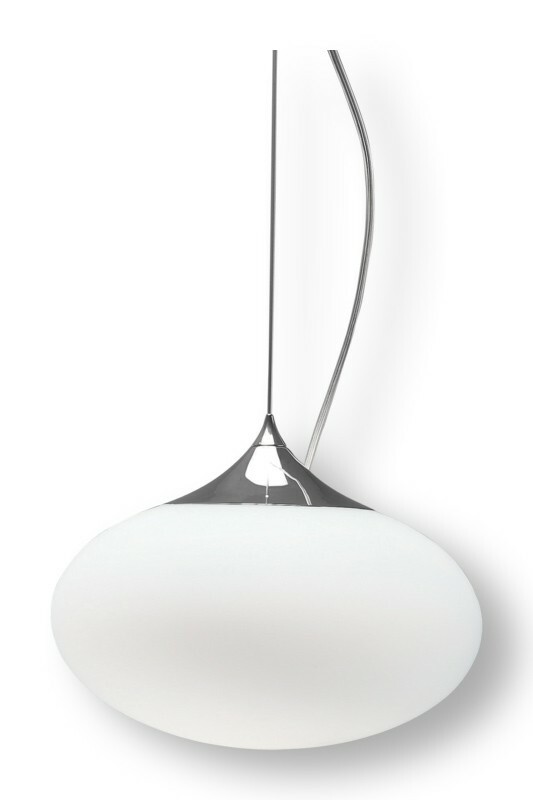 The white glass diffuser is suspended from a thin wire that can reach up to 1800mm in length. 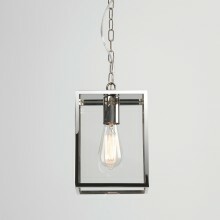 This light uses one 60w E27 lamp. 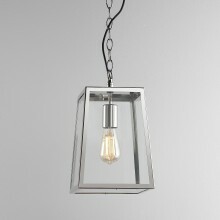 As a soft, yet sophisticated ceiling lamp, this product will make a fantastic kitchen light for a contemporary design. A Class 2, double-insulated fixture that can be used in conjunction with a dimmer for those mood lighting moments. 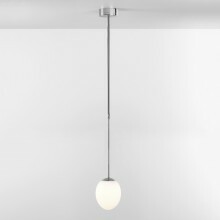 If you're looking for a practical solution to your kitchen or living room lighting needs, this ceiling fixture will be the perfect new purchase and ideal for high ceiling settings.